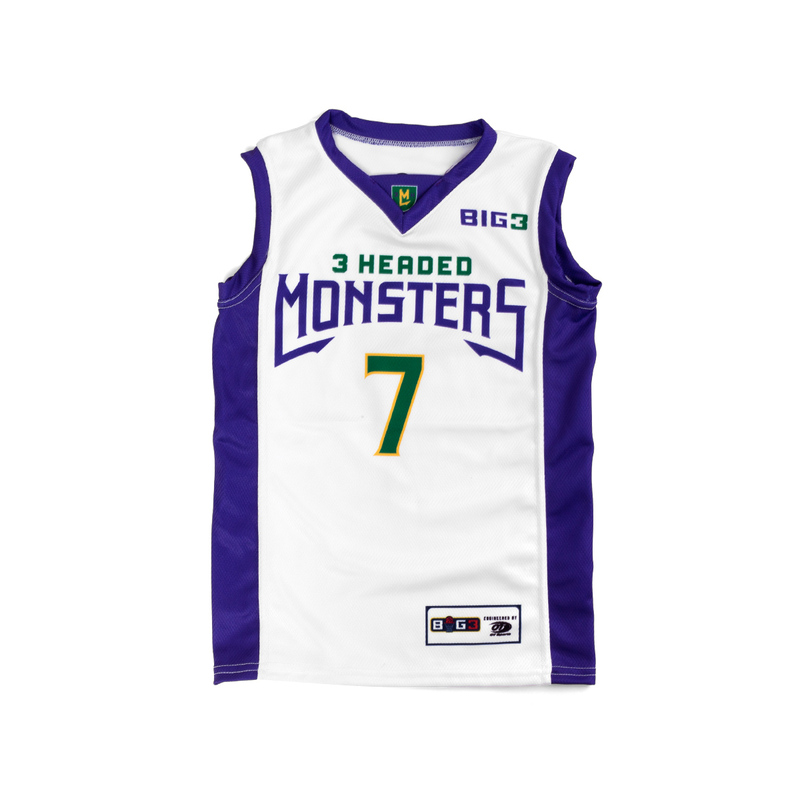 Official Big3 jersey. 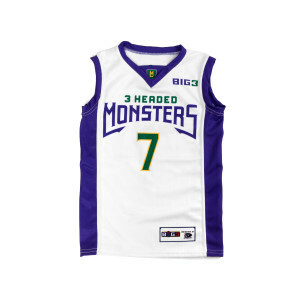 3 Headed Monsters "Abdul-Rauf" white v-neck tank jersey. 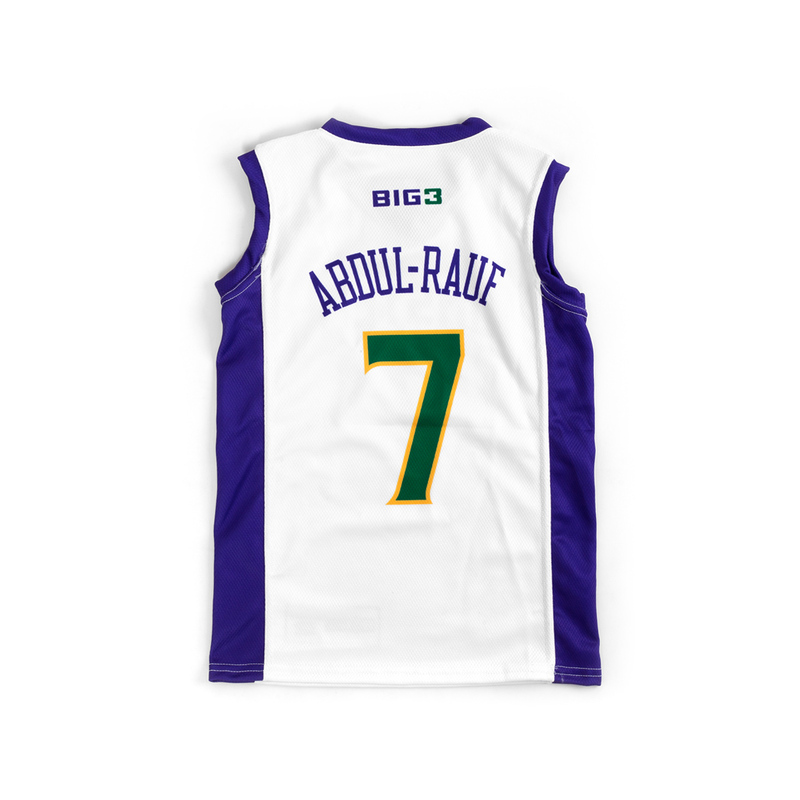 10% net proceeds of all sales on Mahmoud Abdul-Rauf jerseys will be donated to Colin Kaepernick’s Know Your Rights Camp.Know Your Rights Camp is a free campaign for youth (fully funded by Kaepernick) to raise awareness on higher education, self-empowerment, and instruction to properly interact with law enforcement in various scenarios. To learn more about Know Your Rights Camp, click here. Phenomenal player. 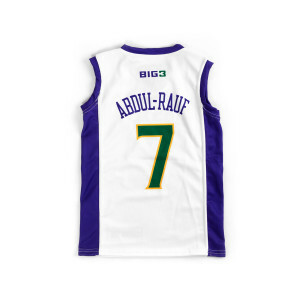 Grew up watching NBA in the 90's, Mutombo, Rauf, La Phonso Ellis. What a team. Remember watching them knocking the Sonics out of the first round when the Nuggets were the 8th seed. Mahmoud the assassin. He was Stephen Curry before Stephen Curry.